Make no mistake: America's electric power industry is in the midst of a profound transformation. While much of this change is happening quietly, it is widespread. The industry is leading the way to an energy future that customers want. A future that is even cleaner and more connected, while ensuring that electricity remains affordable and reliable for all Americans. There are three key trends driving this change -- the transition to a clean energy future, the increasingly digital and distributed power grid, and the demand for more individualized customer services. Thought leaders recently came together to discuss these trends at Powering the People. Hosted by the Institute for Electric Innovation (IEI), this annual event brings together electric power company and technology company executives, policymakers, regulators, and other thought leaders for dialogue and discussion on the transformation of the electric power industry. Below are some real-life examples of how these key trends are taking shape. These examples are further detailed in IEI’s most recently released book. By the end of 2016, two additional book releases will build upon this foundation, ultimately identifying the 10 top trends driving change in the power industry. The focus on transitioning to a clean energy future could not be more pronounced. In just 10 years, our energy mix has changed dramatically to include more natural gas and significant amounts of wind and solar. Take, for example, Southern Company, which is at the forefront of moving to lower-carbon and zero-emissions technologies. Southern Company’s largest subsidiary, Georgia Power, continues to develop its nuclear power capacities with Plant Vogtle, the first new nuclear power generator to be built in the U.S. in 30 years. In addition, the Southern Company system has added or announced 3,800 megawatts of renewable energy projects since 2012. This includes solar and wind facilities and, in Georgia, the largest voluntary solar program of any state. Xcel Energy is a leader in integrating more wind into its energy mix. In fact, renewables make up more than 20 percent of its portfolio. With more than 5,700 megawatts of wind power, Xcel Energy has been the nation’s top utility provider of wind for 11 years, helping to displace millions of tons of carbon dioxide emissions. Our industry is also spearheading the transition to a more digital and connected power grid that will manage central generation in concert with distributed energy resources. As part of this transition, we have deployed more than 65 million smart meters and are investing more than $20 billion annually to build the smarter energy infrastructure customers want. This digital and distributed power grid provides customers greater control and efficiency, as well as more connection and interaction with thousands of distributed energy resources and devices. How will this grid evolve? Come hear how the industry is talking about this change at GTM's Grid Edge World Forum in San Jose, California June 21-23. In fact, by 2020, 25 billion connected things will be in use, and our industry will be the top industry using the internet of things (IOT). Innovations and new technologies, like big data and machine learning, are already being applied to solve electric power companies’ business challenges. 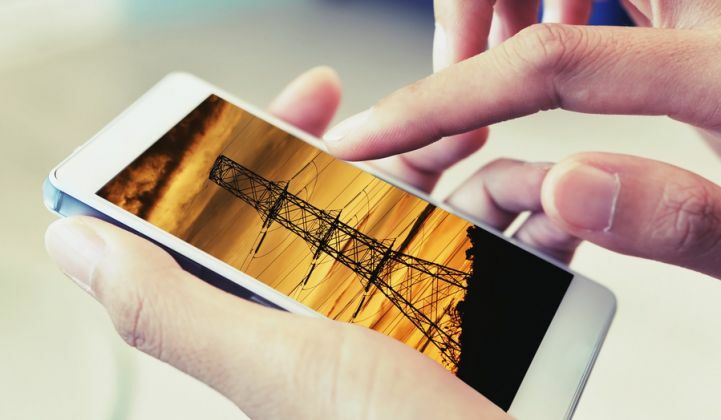 These companies understand that the power grid of the future must be robust and flexible, seamlessly interconnecting technologies and devices and integrating data and analytics for operations and management. As one example, Southern California Edison (SCE) is working closely with stakeholders on standards for installing and integrating smart inverters and conducting capacity analysis to plan for and integrate distributed energy resources. SCE is also testing and preparing to install new technology solutions, such as sensors to provide real-time visibility, applications to perform analytics, and advanced automation to facilitate self-healing distribution circuits that improve the reliability, flexibility, and resiliency of the power grid. These are all elements of a smart grid. Woven throughout all of these developments is a critical factor guiding our industry: the goal of meeting customer needs. Increasingly, this means providing individualized services to all types of customers, ranging from cities to households. Some large customers, like cities, want energy solutions that will help them meet or exceed their sustainability goals. For example, in California, the City of San Diego formed a collaboration called “Smart City San Diego,” combining the resources of San Diego Gas & Electric and other leading organizations from government, business, education, and nonprofit to drive existing energy programs forward, identify new opportunities, and position the San Diego region as a global leader in sustainability. Some residential customers want tools to manage, control, and choose their energy use. For example, Nest learning thermostats have grown in popularity. This interactive technology opens the door for more personalized services. Companies like Opower are providing a responsive customer experience with actionable advice on ways to lower energy bills and other service options. This is all being driven by new technologies like cloud software and data analytics to help electric power companies develop improved customer relationships. Collaboration, progressive public policy, and appropriate regulatory policies will be critical for the successful transformation of the industry -- a transformation focused on a clean energy future, more distributed energy resources, greater reliability and resilience, and more individualized customer services. As customers interact with and think about their energy use in new and innovative ways, we are excited to partner with them. We look forward to building upon the key trends that are driving change and innovation in the electric power industry and to continuing to tell the story as the transformation unfolds. Lisa Wood is the vice president of The Edison Foundation and the executive director of the Institute for Electric Innovation.